The newest game in the family friendly, incredibly addictive Plants vs Zombies series of shooters, Plants vs Zombies: Garden Warfare 2, will be launching early next year. 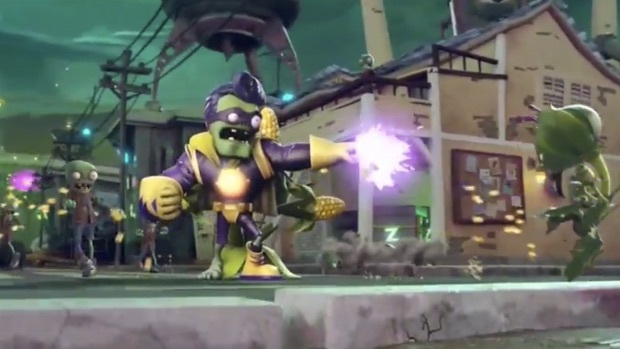 Ahead of its launch, Popcap Vancouver released a brand new trailer for the title, which provides a deep dive into the features of Backyard Battleground, an all-new dynamic and interactive hub that connects players to every map and mode throughout Plants vs. Zombies Garden Warfare 2. Basically, think of the Backyard Battleground as a less peaceful version of Princess Peach’s castle in Super Mario 64, and you have some idea of what it could be like. It’s like an interactive menu- like the city in Splatoon that substitutes an actual menu in the game. Check out the trailer to get a better idea of how it works for yourself, instead of relying on our clearly desperate, grasping at straws analogies, and stay tuned to GamingBolt for more coverage and information on the title.